If it ain’t selling in Japan, it ain’t selling here. For those still holding out hope that the regular sized New 3DS will land in Western shores, we’re now all but certain you won’t be getting your hands on those sweet customizable face plates. In June, a Japanese data tracking company called Media Crate counted and presented national video game hardware sales across all of Japan. The data revealed a surprising difference in sales figures between the standard New 3DS and it’s XL counterpart. While Nintendo performed well overall in Japan, their standard sized New 3DS only accounted for 6.5% of all console sales, a strikingly low number compared to the 29.2% and 24.5% of sales attributed to the New 3DS LL and Wii U, respectively. Many westerners have been vocal that if the smaller version of the New 3DS were made available they would purchase it instead, but the low Japanese sales figures give Nintendo every right to deem the standard system as not worth distributing in other regions. It’s also important to keep in mind that Japan is Nintendo’s most profitable market. Since Xbox and Playstation both take larger cuts of market share in areas like the U.S. and Canada, the New 3DS is likely to meet sales numbers even lower than Japan’s 6.5%. While it’s easy to view companies like Nintendo as above it all, it’s important to remember that they are still a business, after all, and make decisions in the best interest of sustaining their company. So as much as we may yearn for those rad swappable face plates, if the standard New 3DS ain’t selling in Japan, it’s not going to sell anywhere else. Do you think Nintendo’s wrong in excluding the smaller console from other markets? 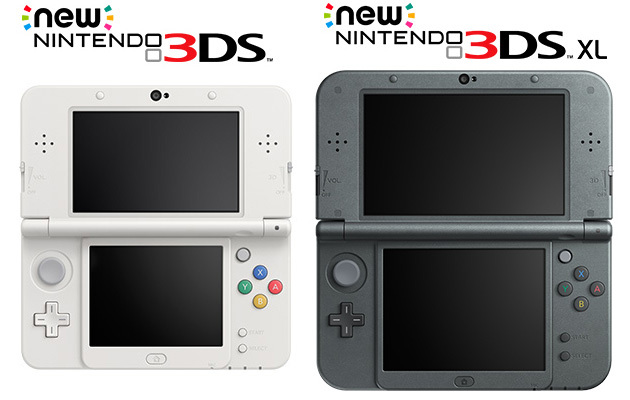 If given the choice, which model of New 3DS would you rather buy? Comment and let us know! and like us on Twitter for more updates on all things gaming @ButtonMasherTO ! Of course Nintendo was wrong in this decision, how is it fair that Japan, Australia & New Zealand, all of Europe, South Africa, and South Korea all got the New 3DS, but suddenly there’s no reason to release it in The U.S. and Canada? Before the 3DS was prematurely abandoned in North America, sales were closest to 50/50 than anywhere else, it wasn’t until it was only XL & 2DS that sales started leaning towards XL. Like it’s already been said before, it’s not about what’s selling the most, it’s about making as many people happy as possible. So as long as people all over the world are buying the regular 3DS & New 3DS(which obviously people are if new cover plates are constantly being released), there should no reason to continue to exclude North America from the New 3DS. I want a stand n3DS dammit!! Completely denying an entire market a particular model that EVERYWHERE else gets, regardless of sales, will ALWAYS be the wrong decision. If NoA doesn’t think a widespread retail release in North America is viable, then there’s a ton of other ways they could still make it available for those who want one. The best option that comes to mind is simply making it exclusive to their online store and shipping strictly to order. Maybe sell a limited selection of faceplates the same way, and let us just import any others we want. ANYTHING would be better than saying “we decide what you want, and you don’t want this” like they are now. I’ve gotta agree with you guys. With the recent Gamestop trade-in promo, my wife traded in her 3DS XL for a N3DS XL, no question. I was tempted to trade in my regular 3DS…but I just don’t like the size of the XL. Had we an opportunity to get the regular N3DS? I would have jumped on that trade-in deal in a heartbeat. Why are you comparing New 3DS sales to the Wii U and other consoles? That’s a real non sequiteur. How about some apples-to-apples comparisons from Nintendo’s own fiscal results and sales data, which are broken down into Japan, North America and Other. “Other,” better known as Europe, Australia and a few other bits of the world, did something very interesting when both New 3DSes were released. Their trend toward lowest adoption rate of the 3DS turned around. In fiscal 2013, Old 3DS sales were but 15% of Old 3DS XL sales. In fiscal 2014, New 3DS sales were 52% of New 3DS XL sales. Now, if in North America — where Old 3DS sales were stronger in both absolute and proportional terms than in Other — saw similar growth with the New 3DS (and the NA market bears a lot more resemblance to Other than to Japan), Nintendo of America could have sold up to an extra half-million systems (probably less, as several New 3DS sales would be in place of the other three versions, but still a significant sales increase). Long story short, The New 3DS resulted in higher sales over its predecessor in every region, and no region sold more original 3DSes than North America. If Nintendo is willing to take lower returns from everywhere else in the world, surely it would make sense to get even more from the sales region where 44% of the company’s revenue comes from. Did You Spot Toronto in the Suicide Squad Comic-Con Trailer?